The Detachment Informal Dress is not an authorized uniform of the Marine Corps League. However it is an unofficial attire that may be worn to our meetings and other events due to the casual nature of our community. The intent being to still present a neat and professional appearance that will make members of our community recognize us as United States Marines. The individual items that make up Detachment Informal Dress for regular and associate members is illustrated below. Specific guidelines regarding this dress are provided following these illustrations. The guidance regarding informal dress for both regular and associate male members is provided below. Cover: The scarlet and gold men's garrison-style cover with the appropriate device is to be worn. Embroidered lettering, denoting the detachment and appropriate identification strips is optional. Detailed information regarding the cover is provided in the instructions regarding the Basic Uniform. 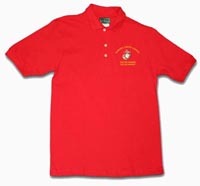 Polo Shirt: A scarlet-colored men's polo shirt with the Marine Corps emblem centered between lettering stating "Marine Corps League" and "Outer Banks, NC Detachment 1264" is to be worn. All buttons on the shirt should be buttoned, with the exception of the topmost. Trousers and Belt: Black trousers with a black leather belt and gilt buckle, or khaki trousers with a black, brown, or cordovan leather belt and gilt buckle are to be worn with the informal dress. The belt may be either 1¼, 1½, or 1¾ inches in width. The widest two leather belts are to be worn with the larger square buckle, while the narrower belt is worn with the rectangular ratchet buckle. Both buckles are gold in color and have the Marine Corps emblem on them. 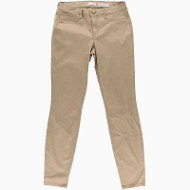 The black and khaki trousers may be purchased at any clothing store and should not be pleated. The length of the trousers should be such that the bottom cuff of the trousers barely touches the top of the heel sole of the shoes. Shoes and Socks: Shoes should be black, brown, or cordovan oxfords, either of Corfam, or polished leather. The uppers on the toes of the shoes should be smooth, without seams or ornamentation. Black shoes may be worn with either black or khaki trousers, however brown and cordovan shoes should only be worn with khaki trousers. The color of socks worn should match the color of the shoes. Other: No medals or ribbons should be worn with informal dress, however a name tag is authorized and may be worn on the right hand side of the polo shirt. It should be placed approximately horizontal to the center of the embroidered Marine Corps emblem on the opposite side of the shirt. The guidance regarding informal dress for both regular and associate female members is provided below. Cover: The scarlet and gold women's garrison-style cover with the appropriate device is to be worn. Embroidered lettering, denoting the detachment and appropriate identification strips is optional. Detailed information regarding the cover is provided in the instructions regarding the Basic Uniform. Polo Shirt: A scarlet-colored women's polo shirt with the Marine Corps emblem centered between lettering stating "Marine Corps League" and "Outer Banks, NC Detachment 1264" is to be worn. As the women's polo shirt has a deeper neckline all buttons on the shirt should be buttoned. 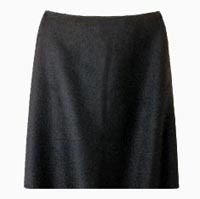 Skirt or Slacks: Either a plain "A" line skirt or slacks are worn with informal dress. 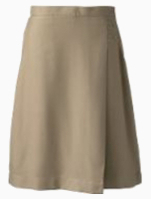 The skirt may be either black or khaki in color. 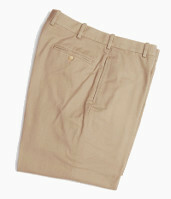 When either a black or khaki skirt is worn, its length should be 1 to 2-inches below the knee. 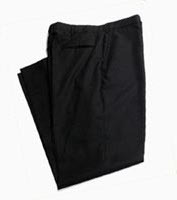 If slacks are worn, black slacks are worn with a black leather belt and gilt buckle, while khaki slacks may be worn with a black, brown, or cordovan leather belt and gilt buckle. The belt may be either 1¼, 1½, or 1¾ inches in width. The widest two leather belts are to be worn with the larger square buckle, while the narrower belt is worn with the rectangular ratchet buckle. Both buckles are gold in color and have the Marine Corps emblem on them. Both colors of skirts and slacks may be purchased at any clothing store. Shoes, Socks, and Hose: Nylon hosiery shall be worn when wearing either the black or khaki skirt along with, plain toe, closed pumps of either Corfam or polished leather. The color of the nylon hosiery should be conservative and compliment the skin-tone of the wearer. 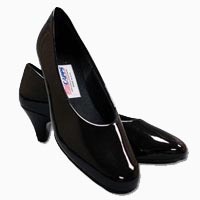 Black pumps may be worn with either the black or khaki skirt, however brown or cordovan pumps are also permitted when wearing the khaki skirt. When slacks are worn, oxfords, either of Corfam, or polished leather shall be worn. The uppers on the toes of the shoes should be smooth, without seams or ornamentation. 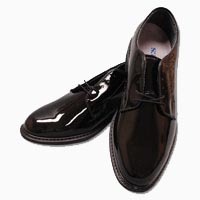 Black shoes may be worn with either black or khaki slacks, however brown or cordovan shoes are also permitted when wearing khaki slacks. When wearing slacks and oxfords, socks of a color to match the color of the shoes shall be worn. Earrings: Earrings may be worn with informal dress, however they must round white pearl (or pearl like), or round gold earrings, not to exceed 9mm in diameter. When worn, they will fit tight against the lobe of the ear and not extend below the earlobe.